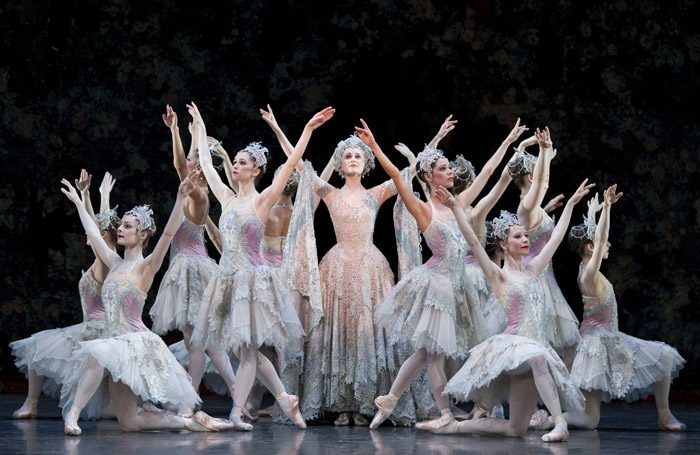 The Royal Ballet institution has a pretty much sacrosanct relationship with Petipa’s Sleeping Beauty. Sumptuously and symphonically scored by Tchaikovsky, it’s the bastion of Imperial classicism with which the burgeoning British company made its name back in the mid-twentieth century. Today, it’s still the barometer by which the Covent Garden company and its sister troupe in the Midlands test their technical mettle. Opening its tour at Southampton’s Mayflower Theatre, Peter Wright’s 1984 production for Birmingham Royal Ballet looks in fine fettle overall. There’s a strong emphasis on mime here – the Lilac Fairy is a non-dancing, character-shoe counterpart to Carabosse – but it’s always convincing and legible. Amid Philip Prowse’s bronzed and marbled court designs, Nao Sakuma is a darkly glamorous Carabosse, marshalling the forces of evil atop a black sedan chair carried by a bunch of hunched malevolent minions in bicorne hats. She even has a brief sardonic writhe in the queen’s gold drapery. Jenna Roberts is a serene Lilac Fairy, though the costume could do with more colour (never deny the aesthetic power of pastel purple, as any early-noughties gel pen aficionado knows). Perhaps a little excitable teenage energy was missing from Momoko Hirata’s entrance as Aurora – that scampering solo is prefaced by an ever-thrilling anticipatory orchestral passage – but she follows with an assured, charismatic account of the Rose Adagio. Hirata’s crystalline quality is effectively matched by Mathias Dingman’s smitten, bouncy prince. Though some soloists seemed a little subdued, Yaoqian Shang and Beatrice Parma stand out for their combination of elegance and chutzpah.